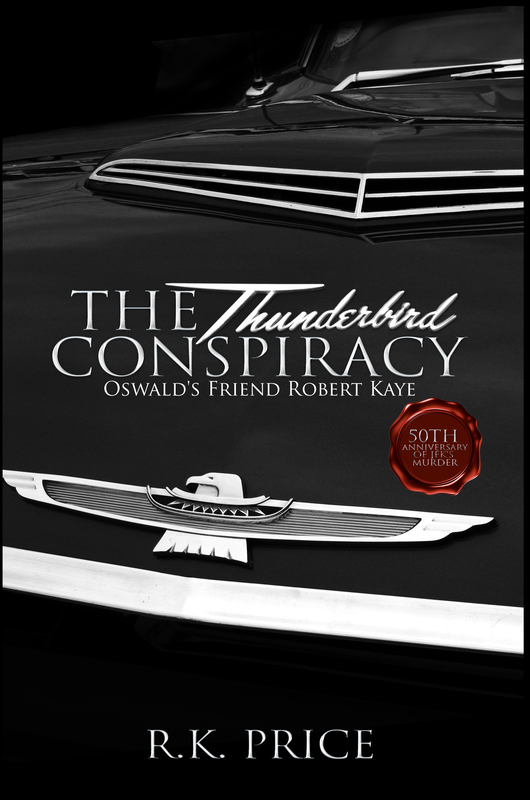 Blurb: The Thunderbird Conspiracy is the remarkable tale of Robert Kaye, a Hungarian freedom fighter who claimed he knew and collaborated with JFK assassin Lee Harvey Oswald. R. K. Price’s second novel is also a tale of a Nebraska farm boy who was a great admirer of President Kennedy and a true patriot who desperately wanted to believe his government’s hurried conclusion that Oswald had no accomplice. Yet his own harrowing experience at the hands of his government created profound doubt in his mind, and it haunted him to his death. These two men, one willfully acting, the other a true victim, became entangled in the most notorious crime of the 20th century. This saga of intrigue and murder was revealed to the author on a wintry Colorado day about three weeks before the farm boy’s ravaged heart gave out. That man was R. K. Price’s uncle. His name was Bud Carlson. Price stashed away Bud’s account of Robert Kaye, letting it lay dormant for nearly forty years until he could corroborate his uncle’s story with the release of previously secret FBI files from the National Archives. Now nearing the 50th anniversary of Kennedy’s assassination Price has brought Robert Kaye and Bud Carlson back to life. Their incredible story will leave you questioning just how and why JFK was taken from America far too early. Review: If you are a loyal reader here you have probably figured out by now that I am a total JFK junkie. I seriously cannot get enough! So of course I jumped on the opportunity to read this book!! Mr. Price definitely has a way with words! I was immediately swept up in the flow of this book and was more than happy to let it carry me to the end. The characters were so well-developed and I enjoyed getting to know them, even the secondary characters were fleshed out so well they didn’t feel secondary at all. I’m going to be completely honest here, I’ve never been 100% convinced about the lone bullet theory. It just seems to much for me to comprehend. It is my personal belief that Oswald was a patsy (but this is where I have to say that I’m not entirely sure who he was a patsy for; I just don’t feel as if he did it all himself). So you can imagine that I gobble up everything about the Kennedy assassination just in an attempt to see if I can make sense of my feelings on the assassination itself. I think what I liked about this book so much was that it was really fiction wrapped around fact. The whole idea that the author’s uncle’s story is what really brought this book about. Just, wow. It makes me wish I had a story like that to tell! And I think this personal connection with the author is what makes the book that much better. R.K. Price is a Colorado native. He lived in Pueblo for a number of years, earning his way through college as a radio/television and newspaper reporter. 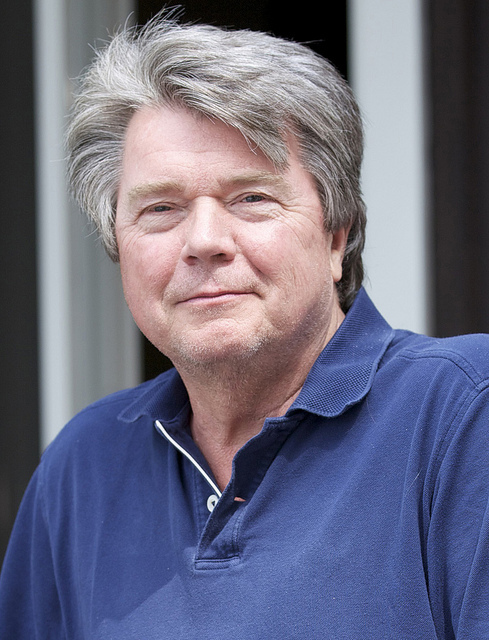 He moved north to Denver in the mid 70s, joining a major advertising/public relations firm as a writer, producer and press agent. Later, he formed his own media relations and political consulting firm. He spent the early 1980s in Washington D.C. actively involved in national politics, and returned to Denver in the mid 80s to become an investment and mortgage banker — a profession he remains in today. He now lives in the Washington D.C. area with his wife Janet and daughter Sara in Alexandria, Va. Thanks for taking part in the tour. I’m glad you enjoyed The Thunderbird Conspiracy so much! What a crazy personal connection. Very cool start to the book.